Every once in a while some friends of mine insist they have found the best ramen shop. Often I recognize the shop they're talking about, but when I haven't, I am excited to discover a new place. 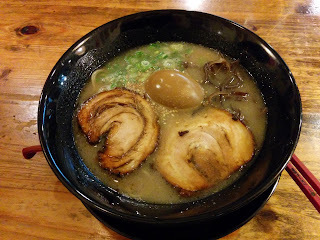 This time a couple of friends took me to Ippo, a tonkotsu ramen shop in Minamimorimachi. And what I received was indeed a solid bowl of tonkotsu. It had a little bit of that tonkotsu stink, and was not lacking in salt, but in the end it wasn't that heavy. 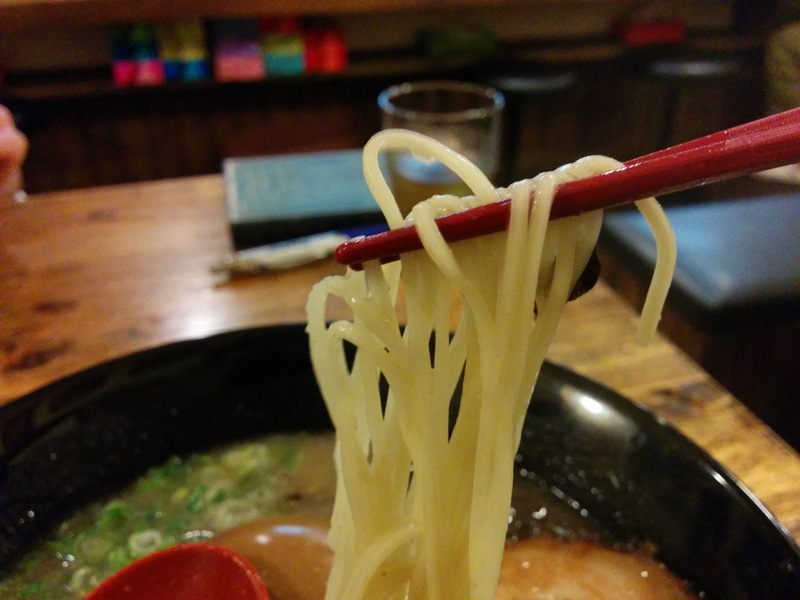 The noodles were thin and hard, representing classic Hakata style. The chashu slices were thick and tender, with a strange almost sake-like aftertaste. This was a good bowl of tonkotsu, and I can understand why my friends love it, but unfortunately doesn't make it into my top bowls of Osaka. You can't, because it's closed.